Vladimir Putin spoke with Donald Trump on the phone six days after his victory on November 14th. Hours after their phone call was over, Putin proceeded to bomb the hell out of Aleppo and wage total war. In just around two weeks time, Putin and Assad managed, in the words of the IB Times, to "bomb their way to victory" in Aleppo. Today, we learn they've reportedly retaken 35 districts in the city and corralled ISIS and other rebel terrorists into a remaining five. 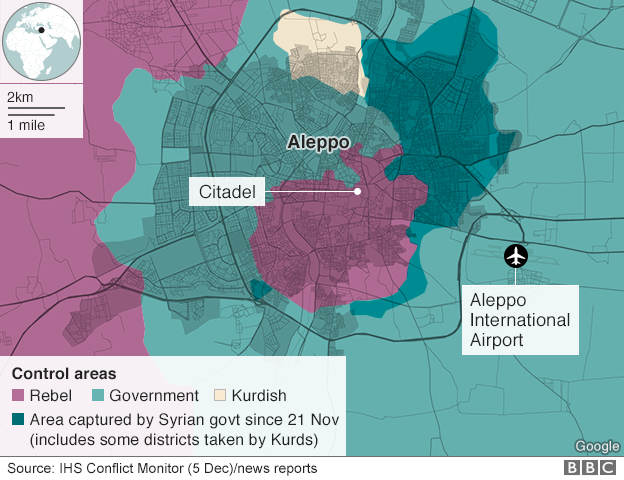 They're now closing in on Aleppo's Old City and on the brink of retaking the entire region. This is a massive victory for Assad, Putin and Donald Trump. That's why the lying media is pretty much ignoring the story. Syria�s army and allies closed in on areas near Aleppo�s Old City on Tuesday, looking closer than ever to achieving their most important victory of the five year civil war by driving rebels out of their last urban stronghold. Rebels said on Tuesday they would never abandon Aleppo, after reports that U.S. and Russian diplomats were preparing to meet to discuss the surrender and evacuation of insurgents from territory they have held for years. Russia said its Syrian government allies had taken control of five more districts of Aleppo, and had now seized 35 districts from the rebels during an advance that has changed the course of the conflict. The government now appears closer to victory than at any point since 2012, the year after rebels took up arms to overthrow President Bashar al-Assad in a war that has killed hundreds of thousands of people, made more than half of Syrians homeless and created the world�s worst refugee crisis. The Syrian Foreign Ministry said it would accept no truce at this point in Aleppo, should any outside parties try to negotiate one. Russia and China vetoed a U.N. Security Council resolution on Monday calling for a weeklong ceasefire. 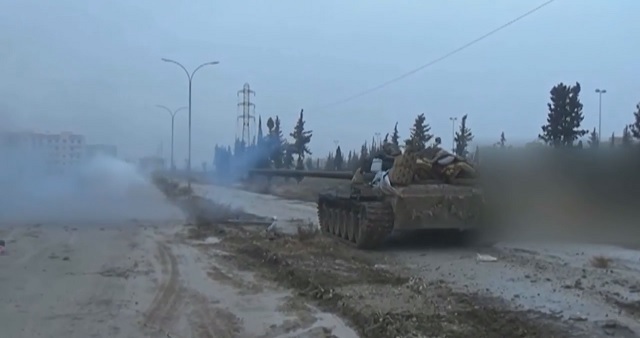 Moscow said rebels used such pauses in the past to reinforce. Unlike the U.S., they're not playing games and seeking to prolong this conflict to make Israel feel nice and cozy. They're waging total war and seeking to bring this conflict to an end as soon as possible. The rebels� loss of the eastern half of Aleppo, Syria�s largest city before the war, would be the biggest victory of the conflict so far for Assad, securing his grip on all Syria�s main cities. It would also be a success for President Vladimir Putin who intervened to save Moscow�s ally in September 2015 with air strikes, and for Shi�ite Iran, whose elite Islamic Republic Guard Corps has suffered casualties fighting for Assad. The people of Syria are finally being liberated from a state of perpetual war and all Donald Trump had to do was send a signal to Putin to "do what you must."